Healthy salads are a staple on the keto diet. 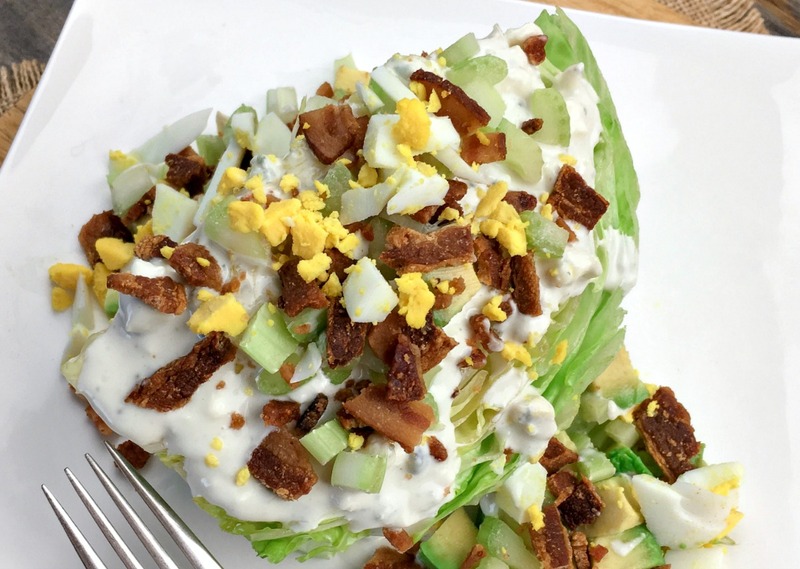 This easy wedge salad with the best homemade blue cheese dressing is one of my favorite recipes to serve for a crowd. Wedge salads are popular not only because they taste amazing, but because they’re incredibly easy to make too. A lot less prep work! I love the versatility of wedge salads, too. You can eat them for a light lunch or as a side dinner salad. Or, you can pair them with a low-carb entree like our Garlic Herb Oven Roasted Chicken Recipe. Add some roasted cauliflower and you have a delicious, keto compliant meal. It’s best if you can make the homemade blue cheese dressing the night before you want to use it to allow all of the flavors to meld. Add the avocado mayo, blue cheese crumbles, Greek yogurt, sour cream, garlic powder and sea salt to a medium glass or stainless steel mixing bowl. Whisk in just enough half and half to reach a consistency that suits your needs. Taste and adjust spices, if necessary. Transfer to a glass airtight container and refrigerate overnight so the flavors have enough time to fully meld together. When you're ready to serve your wedge salads, place one wedge of iceberg lettuce onto a chilled serving plate (and repeat with the remaining 5 wedges). 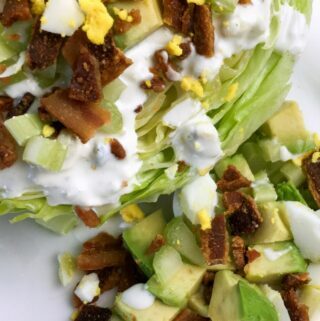 Drizzle each lettuce wedge with your homemade blue cheese dressing, to taste, then top each wedge with a sprinkle of crumbled bacon, avocado, hardboiled eggs and celery. Season with sea salt and black pepper, to taste, and serve immediately. 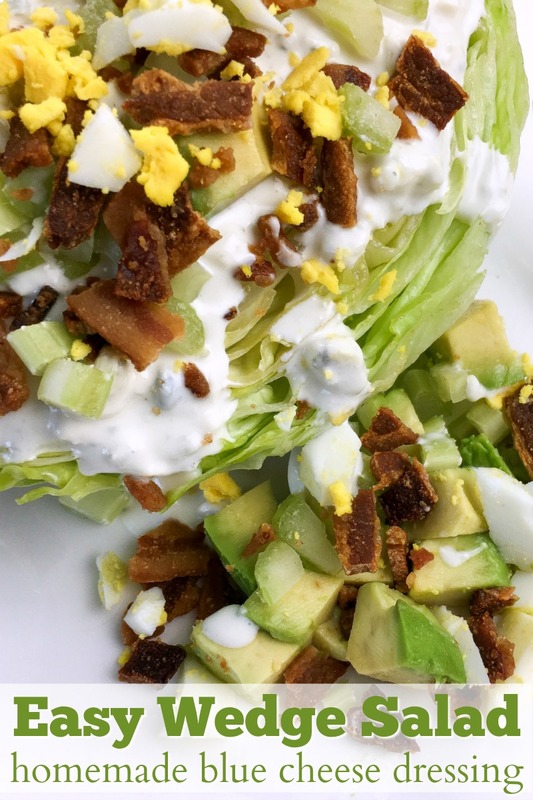 What do you like to top your wedge salads with? Previous Post: « Can You Eat Fruit on the Keto Diet?